At the presentation dinner held to award the first ever Rugby Olympic Gold Medal in Britain in 1908 Dr Herbert Moran replied to a toast by Sir G. Rowland Hill. Moran declared that - even though the Australians were delighted with their reception - it was unfortunate because when they decided to enter the contest ‘they hoped that they would conquer or be conquered by the best teams in the world.’  South Africa and New Zealand declined to take part and France – unable to raise a representative team – pulled out at the last minute. Moran (1885-1945) was born at Darlington Sydney was the second son of Irish-born baker, Michael Moran and his Australian-born wife Annie nee Quain. He attended Darlington Public School, St Aloysius’ College Surry Hills and briefly, St Joseph’s College Hunters Hill before moving on to attend the University of Sydney. He played Rugby for a Rose Bay club and the university before representing New South Wales against Queensland in 1906. The following year Moran was resident medical officer at the Royal Newcastle Hospital. In 1908, he captained the first Wallabies tour of Britain from which that first Rugby Olympic team had been selected. It has been said that Moran helped to shape future Rugby captains. Plagued by injury, Moran played in an unsuccessful Test against Wales and at the completion of the series, took his F.R.C.S. in Edinburgh and worked in hospitals in London and Dublin. Returning to Sydney, Moran practised at Balmain and later in Macquarie Street. He married Eva Mann at St Mary’s Cathedral in April 1914 before returning to Britain in 1915 to join the Royal Army Medical Corps. Eva was one of several children born to James E Mann and wife Flora nee Farrall. The Mann family arrived in Springwood c1891 and initially leased a property at Faulconbridge. It is evident that the family followed the Catholic faith because in 1892 Mrs Mann, a church member, very kindly placed her carriage at the disposal of the Roman Catholic Church so that dignitaries could tour the district. The family reappear in June 1894 when Silva Plana became their home for the winter. However they left the area in August of the same year to take up residence at their new estate at Mt Wilson. The Mann family subsequently owned both Denarque and Yengo. Silva Plana reserve at Mount Wilson was so named in fond memory of the Springwood residence and donated by Esmey Mann, Eva’s sister. Moran, already a captain in the Australian Medical Corps, served as a lieutenant at number 23 Stationary Hospital, Indian Expeditionary Force in Mesopotamia before returning to Sydney in 1916 then worked as an honorary surgeon at St Vincent’s Hospital. G.P. 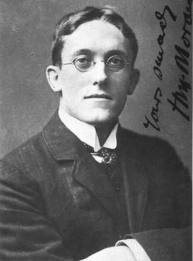 Walsh, in The Australian Dictionary of Biography, stated that Moran had a notable surgical career specialising in cancer research and the use of ‘gamma irradiation through the medium of metallic radium.’ Leading the field in the new technique, Moran travelled widely, published journal articles on the subject and studied and lectured in most parts of the world. For example, in 1927 he spent almost a year at the cancer research centre in Paris. Moran used this accumulated knowledge at the Royal Price Alfred, Lewisham and Royal North Shore and Prince Henry Hospitals when he was honorary consultant and honorary radium therapist in the 1930s. Highly respected in his field, Moran was a fellow of the Royal Society of Medicine London, the Royal Australasian College of Surgeons and St John’s College at the University of Sydney. It is thought that Moran’s fascination with all things Italian is likely to have influenced the naming of his cottage in Springwood as Santa Chiara was an ancient citadel located in Naples. He spoke Italian, French and German and was a life member and president of the Dante Alighieri Art and Literary Society Sydney and deputy president of the Modern Language Association. Founded in Rome in 1889 by Nobel Prize winning poet Giosuè Carducci, the Dante Alighieri Society today still promotes the appreciation and understanding of Italian language and culture worldwide. The Sydney Society is one of 450 operating internationally, and encompasses one of the most prestigious Italian language schools in the country. Moran was also responsible for initiating Italian studies at the University of Sydney. In 1931 he was awarded the Paul Poselli Medal for Italian literature. Moran wrote several medical books, but his autobiography, Viewless Winds: Being the Reflections and Digressions of an Australian Surgeon, written in 1939, is regarded as his finest work. Other works include Letters from Rome: An Australian’s View of the Italio-Abyssinian Question (1936), Viewless Winds (London 1939), Beyond the Hill Lies China (Sydney 1945), My Fashion (London 1946). Walsh suggested that Moran’s books display considerable literary talent. Although his politics are unknown, in 1932 Moran interviewed Signor Mussolini. Moran, somewhat impressed by the leader, was to alter that opinion later. Moran received the honour of Knight Commander of the Order of the Crown of Italy and the Chevalier of St Maurice and St Lazarus. Moran retired from medical practise in 1935 and a rift in his marriage may have caused him to revisit Italy. Santa Chiara was let and in 1936 a caretaker was put in charge by the Perpetual Trustee Company who administered the property while Moran was overseas. Later he went to England to lobby political leaders in an attempt to mend the breakdown of Anglo-Italian relations but without success. Although Moran offered his services to the Italian government at the outbreak of the war in Abyssinia, for the greater part of the Second World War, he was President of the military boards at Colchester military hospital. He earned the rank of lieutenant colonel in the Royal Australian Military Corps. Fortunately Moran reconciled with his wife before he died at Cambridge, England in 1945. He never returned to his mountain home. Ironically, the cause was a malignant melanoma. Wife Eva and son Professor Patrick Moran survived, and the family remained owners of the property in Springwood until at least 1946. At that time Miss Ada F. Moran of Coogee retained lots 4 and 5. Springwood Historians, The Making Of A Mountain Community: A Biographical Dictionary of the Springwood District, Springwood Historians, 2001, p. 221. Springwood Historians, The Making Of A Mountain Community...pp. 233-234. Walsh noted that Moran was haunted by the art, letters and antiquities of Italy and the majestic history of Rome and the Renaissance. Dante Alighieri Society, Sydney, www.dantealighieri.com.au/ , accessed 8.9.2012. My Grandfather and Grandmother, Frank Kerswell and Melinda Amelia Martin owned Santa Chiara at Springwood for some years in the 1950's. My Aunt, Veda Martin, was married at the house in about 1954 and I remember a beautiful lounge room with a large open fireplace. The gardens were lovely & Grandfather told me there were faries at the bottom of the garden. In the 1950's my Grandfather and Grandmother, Frank Kerswell & Melinda Amelia Martin, owned Santa Chiara @ Springwood. It had a beautiful back garden & Grandfather told me there were faries at the bottom of the garden.